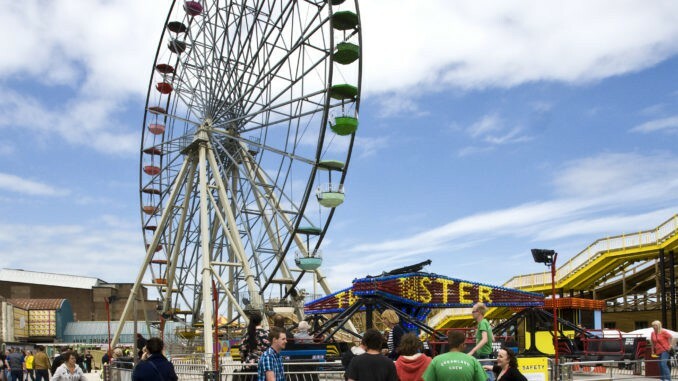 The Dreamland Trust, with a new team and a new chairperson, Bernie Morgan,is looking for volunteers to help with the new summer programme to promote the history and heritage of Dreamland. The Trust, working with operators Sands Heritage Ltd and Thanet council, is planning to offer a series of free exhibitions in the main concourse at Dreamland starting from 28 April and is looking for people to help to meet, greet and explain the role of the Dreamland Trust and the content of the exhibitions. There are also other volunteer roles relating to the Dreamland archive, its organisation and display, as well as developing free talks and tours for the general public and schools. Find out more at The Dreamland Margate recruitment day on Friday 17 March. Drop in anytime between 1pm and 4pm in the Ballroom at Dreamland, email Arcade@dreamlandmargate.co.uk for an application form or telephone 07795 275641 for further information.